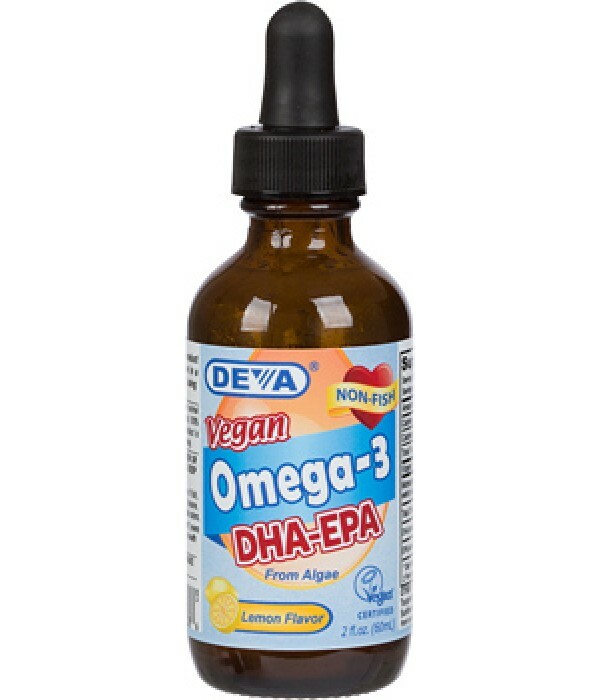 DEVA™ is proud to offer its new liquid product that contains both DHA and EPA derived from a completely vegetarian source (i.e. Schizochytrium sp microalgae). 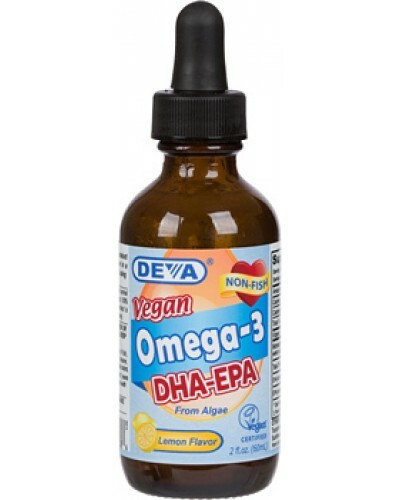 Algal Omega-3 DHA oil has been commercially available for a while but it did not contain meaningful amounts of EPA. This new product contains both DHA and EPA derived from microalgae that is grown in a controlled land facility, outside of the ocean. From start to finish, it is produced in an FDA-inspected facility, under current Good Manufacturing Practice (cGMP) regulations with controls in place to ensure the highest quality product. Our liquid DHA-EPA with fresh lemon flavor has an adult dose of 14 drops which provides 200 mg of algal DHA+EPA. Children dose is 7 drops. One very nice thing about this product is the fact that it can be mixed with food or smoothies since it is a liquid with no capsule. This should help people who have hard time swallowing capsules or children who cannot take capsules. DEVA Liquid DHA EPA is 100% animal free, and guaranteed for purity, freshness and labeled potency. Remember all DEVA Products are 100% vegan, vegetarian and are registered by the Vegan Society, the non-profit organization that actually invented the word "vegan". Adults take 14 drops, children over 2 years of age take 7 drops daily with food or as directed by a health care professional. Shake well before using. Refrigerate after opening. Free of fish, yeast, dairy, egg, gluten, hexane, wheat, sugar, salt, artificial colors.